Daniel Stowe Botanical Garden Wedding. Andrew and Christine were married on June 16th at Daniel Stowe Botanical Gardens in North Carolina and it was truly a magical day for this adorable couple! 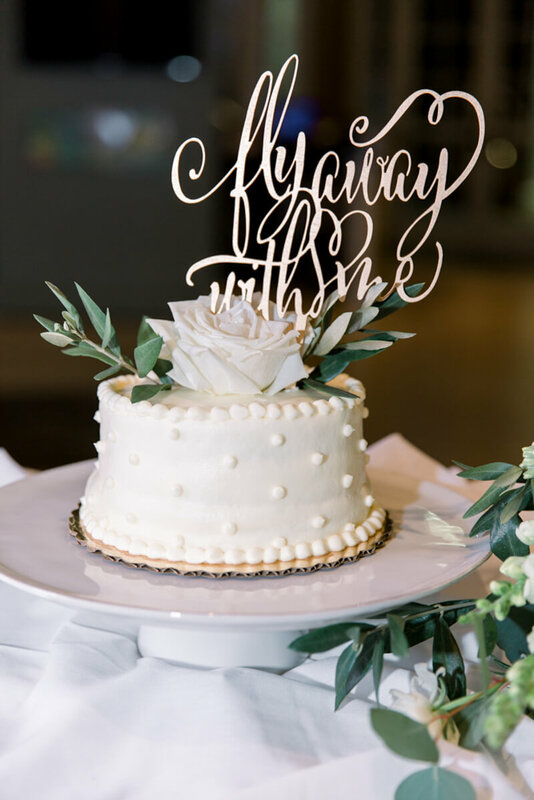 Andrew is a pilot and they met at the airport, so they incorporated that sweet detail in the table numbers and favors. The table numbers were airport codes and they treated all of their guests to airplane shaped bottle openers pulling a banner that said "Let the adventure begin"! 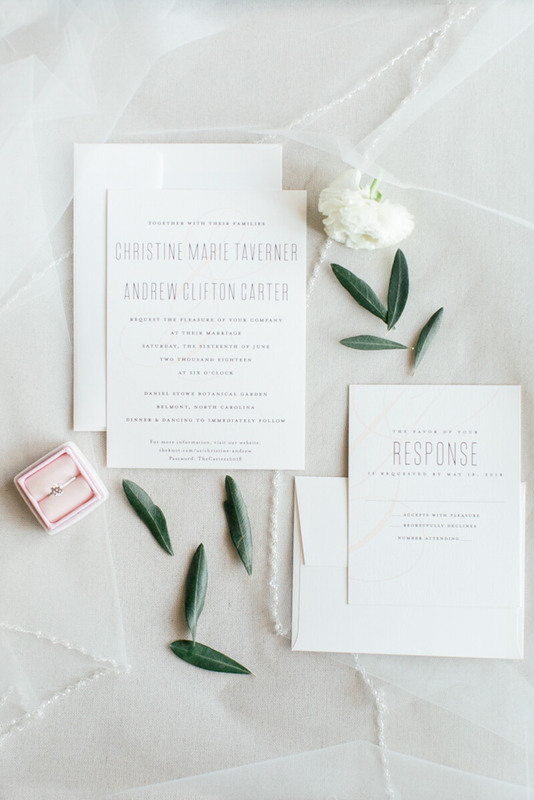 They kept the color palate light with tones of blush, cream, navy and grey with lovely neutral bouquets. The centerpieces remained elegant yet simple with candles and greenery. 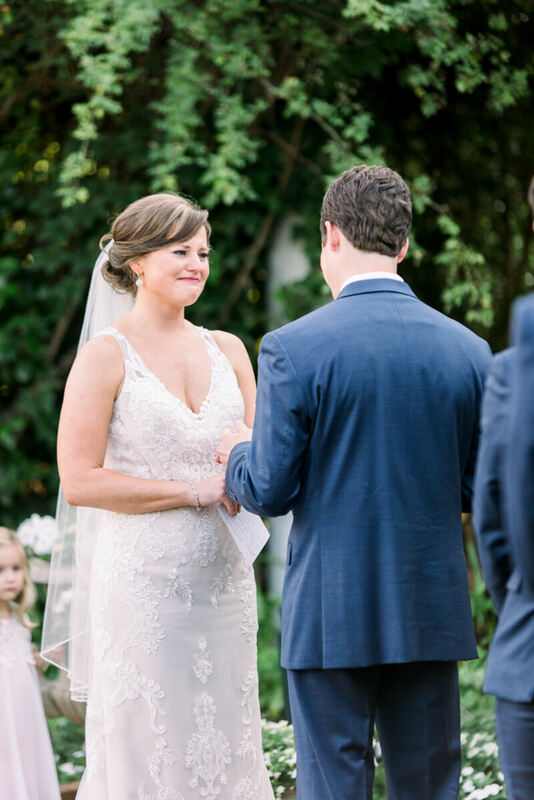 Their ceremony took place in the white garden in front of their closest family and friends, and it was full of heartfelt emotion and joy. During their reception, Christine surprised the groom with the mascot of his favorite team, The Carolina Panthers! Andrew and the guests were completely surprised to have Sir Purr join them for part of the reception. Their wedding day was truly special and so very much them! It was a pleasure to document their day and get to know this sweet couple! Floral Designer: New Creations Flower Co.